I have finally been able to do something that I've wanted to do almost my entire life. 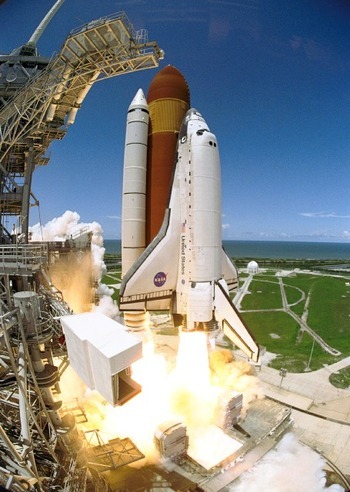 To view, firsthand, the launch of a manned space mission. I've wanted to go for years, but getting everything together and actually going just never seemed to happened. Over the last couple of years the time and money became more doable, but it was still a big gamble as to whether I could actually see a launch. After all, there is absolutely no guarantee that a launch will occur on schedule. In fact, it's almost a guarantee that it won't. I felt like the Return to Flight launches, after the destruction of Columbia on reentry in 2003, would be especially hard to see since NASA would be even more cautious and the likely hood of scrubbing a launch would be even greater. 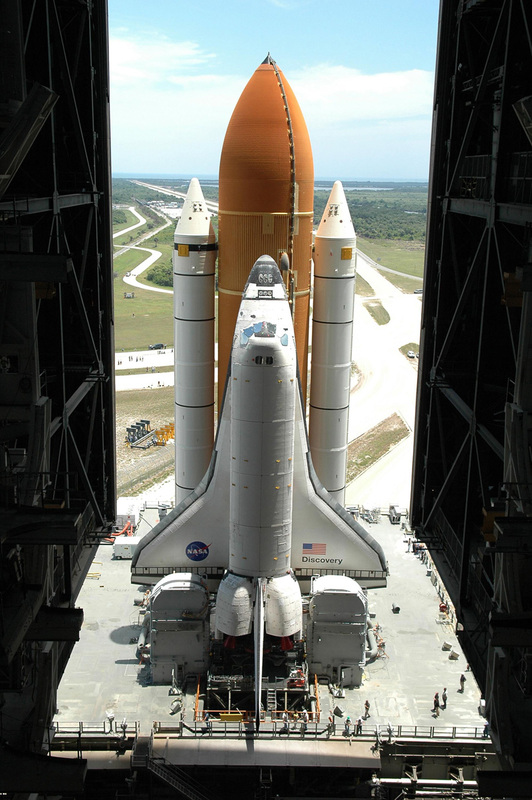 However, I also realized that if the second of the Return to Flight missions scheduled for July '06 had any major problems, there was a chance that the entire Space Shuttle program could be shutdown permanently. So, I pretty much had the feeling that if I wanted to see the of a Shuttle launch, I had better do it now. So, back in June I bought my tickets and made plans to spend at least a couple of days waiting to see the launch. As it turned out, the whole trip was great and the two scrubs (delays) of the launch really worked out for the best, since I slowed down and got to spend some quality time at the Cape. Let me take a second and talk to you about how much the space program means to me. 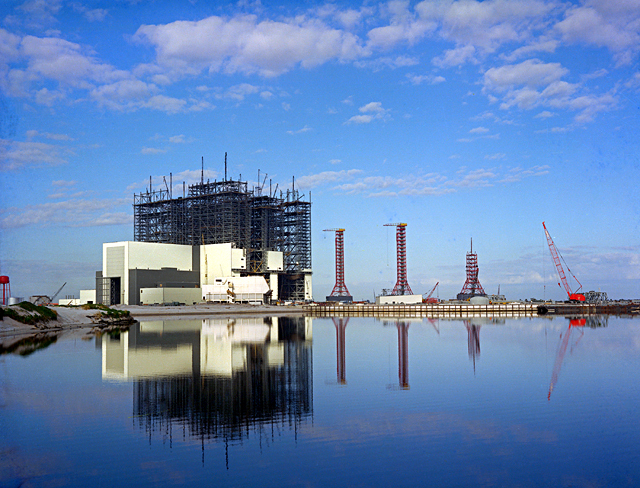 I was born in 1965 just as Kennedy Space Center was being completed. In a way we've grown up together. 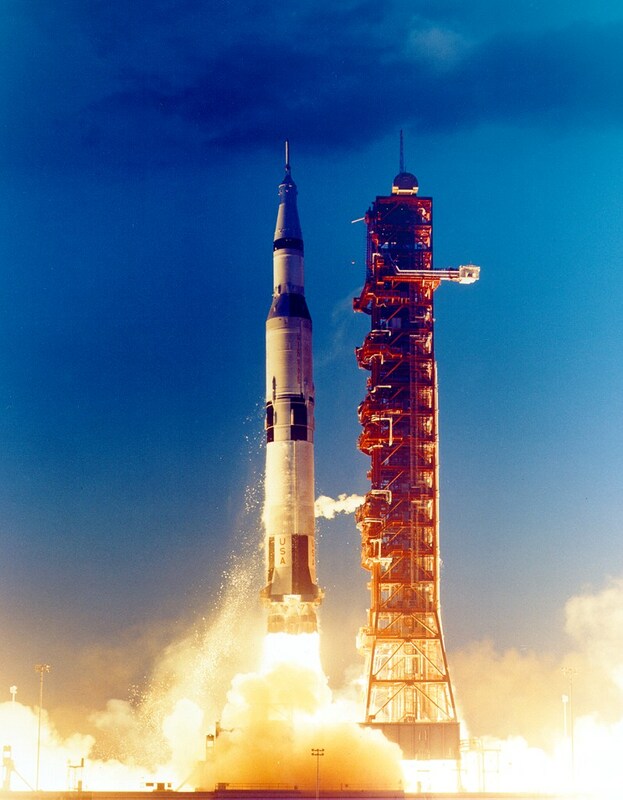 I can still remember from the time I was very, very young (like 4 or 5 years old) the great excitement as I would watch the launch of the Apollo missions to the moon. On one particular launch to the moon that took place at night, I can remember running outside and looking to the south to see if I could see the rocket glowing in the sky on it's way to the moon. Of course that's not possible from North Carolina, but I didn't figure that out until I was six. As I learned to read, books about NASA and the space program where some of my favorites. The Bethel Elementary library had a few books about the new space program and I memorized them all. I would pour over National Geographic and Life magazine articles on the Apollo moon landings too. As I got older, I wanted to become an Astronaut. To go out and explore everything that's beyond. I followed everything that was happening in the space program. As a young boy during the '70's in the 6th and 7th grade I new all the details of the new Space Shuttle fleet that was being designed and built. I couldn't wait for that far off time in the future when they were supposed to launch. I followed the robotic explorers too, like Viking and Voyager. I can still remember the day, August 20, 1975, while working in the tomato field, that I waited for the time when Viking 1 was supposed to launch. As I was tying up the tomatoes, my mind was at Cape Canaveral. In my mind I could see it clearly on the launch pad. As my wrist watch ticked down to the time it was supposed to launch I could see it lifting off the pad and on it's way to be the first human made object to touch Mars. I can still remember the radio announcer confirming the launch that day during the hourly news. So, given all that background, when I finally got to take a tour of the Kennedy Space Center, all the buildings and machines seemed like old friends to me. They are all as old as I am and it's comforting to know that they are still doing the exact job they where design to do, help mankind take it's first baby steps away from it's birthplace.